I’ve heard many good things about collagen. For one, how it can moisturise and improve skin’s elasticity. This reason alone got this sun dweller even more curious. 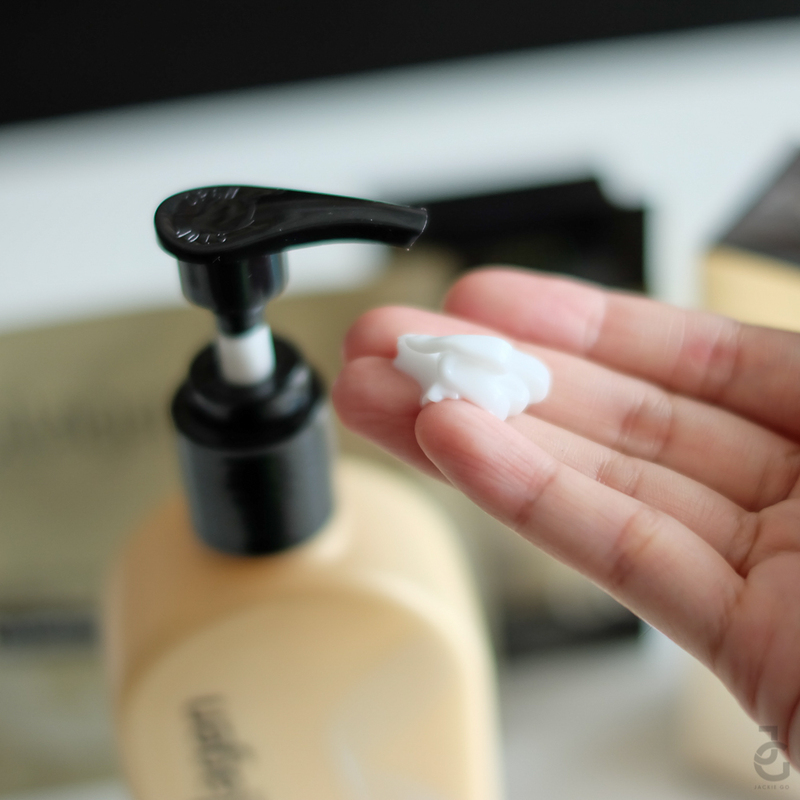 Truth be told, I like trying different products that can help bring back moisture to my skin. So, after browsing on aisles and aisle of products at one of my wasteland faves that is Watsons, my curious eyes led me to focus on such gold and black packed products that got the word COLLAGEN written on it. Aaaand whaddayyaknoooow, it’s Collagen by Watsons! from left: Brightening Peeling Cleanser, Revitalizing 10-in-1 Complexion Corrector Cream, Intensive Nourishing and Firming Facial Mask, and Q10 Intensive Moisturising and Firming Body Lotion. Collagen by Watsons Moisturizing Skin care range, exclusively at Watsons, offers an upgraded Tri-collagen complex which improve skin elasticity, firmness and moisture. Collagen Peptide, increases suppleness of the skin, Hydrolysed Collagen, regenerates skin and Atelocollagen minimizes wrinkles and fine lines. I been trying these Collagen by Watsons products for almost two weeks now and it’s safe to say I’ve picked out my favorite. How to use: Keep your face and hands dry. Apply liberal amount and gently massage on face with your fingertips until dead skin comes out. Wash off with lukewarm water. Use 1-2 times per week for best result. It contains Mangosteen Peel Extract and Jojoba beads help to gently and effectively softening and removing dead skin and impurities by massaging your face. Skin texture and dullness are improved, leaving your skin softer, smoother, and more radiant. I was once afraid of the term “peeling”, I always assume that it would literally peel and expose the sensitive layer of my skin – all raw and red! But this notion soon faded after trying peeling products that aren’t literal but instead help remove (therefore “peel”) dead skin. One pump of Collagen by Watsons Brightening Peeling Cleanser managed to remove all the impurities on my top left hand. The gel cleanser with beads when lathered feels soft and gentle. After much lathering, the gel slowly transformed into clumps which begged for a rinse. The after effect made my skin soft like a baby’s and surprisingly moisturized – I say this because scrubbing/peeling usually leave my skin dry. How to use: After basic skincare, apply adequate amount on the cheeks, forehead, nose and jaw. Spread over the face from inside out to the whole face and neck. (Not recommend to spread in circular motion) Pat on face until absorbed. Conceals imperfections, perfects skin tone, protects your skin from premature aging caused by the harmful environment, moisturizes and nourishes skin, minimizes and refines pores, reduces fine lines, brightens skin, repairs skin and provides long lasting freshness. Infused with a mineral-rich Caviar Extract to reduce the appearance of fine lines and help improve skin elasticity, brings youthful and luminous glow. CC creams help conceal imperfection and even correct uneven skin tone. 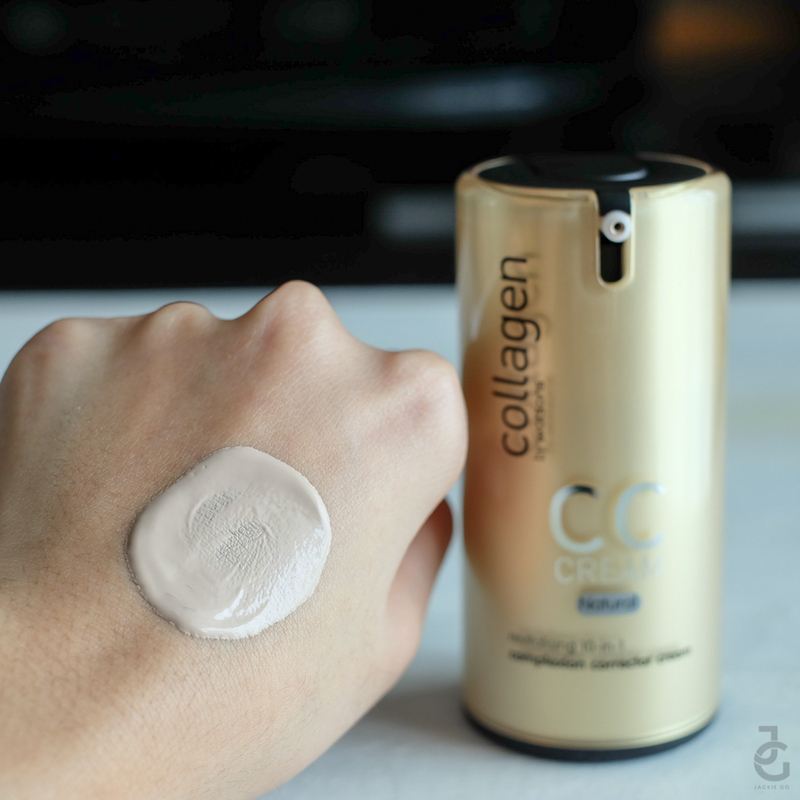 If you’re not one who likes to wear much make up but would want to have that ‘no make-up make-up look’ then wearing a CC cream is the way to do it. Although it’s not my shade (I really wish they had it in my shade), Collagen by Watsons Revitalizing 10-in-1 Complexion Corrector Cream gave good coverage as seen on my left hand. Despite it having a creamy consistency, once it dries, it gives a natural effect – it isn’t dewy nor is it matte. Di ba? It blended really well on my skin no? Literally like second skin, only it’s the better version of it. If you want to achieve that flawless skin, Revitalizing 10-in-1 Complexion Corrector Cream is the way to do it! I was too excited to try the facial mask that I forgot to snap a photo of it! How to use: Unfold the mask from the pack and apply over your face. Press to remove the bubbles and enjoy 15 minutes of relaxation. Remove the mask from down to up after 15 minutes and massage the remaining essence into skin. Each piece of mask contains 30ml rich essence to deeply nourish, tighten and soothing the skin that contains skin-friendly, hydrating and soothing Allantoin. Delicate, silky soft, cotton mask sheet fits perfectly to the contours of your face to maximise essence absorption. The facial mask is soaked in rich essence – this I know for sure as I had to squeeze off some from the mask as it was dripping wet. This is a good issue because I’d rather have soaked mask than an almost dry one (am I right or am I right?!) I like that it greatly covers the entire face (since I have a small face, it created creases on the edges) so I had to lie down for 15 minutes – but I was so relaxed I think I had the mask on for a few minutes longer while I dozed off! My prolong wear of the mask didn’t really effect the moisturizing factor. Upon removal, I still managed to lather the remaining essence on my face – I applied the remaining essence on the pack with a cotton ball. I let it get absorbed a little bit more before rinsing. It was refreshing, revitalizing, like an instant spa for the face. How to use: After basic skincare, apply adequate amount on the body. This lightweight, non-greasy, and easily absorbable lotion contains anti-ageing Q10 and nourishing Soy Bean Oil to help moisturise and soothe discomfort caused by dryness. Out of all the four Collagen by Watsons products, this is my favorite. While I am not a lotion addict, I like applying it on my skin because it helps alleviate dryness. If its good enough, it usually gives me a surge of moisture, leaving my skin soft and moisturized. And Q10 Intensice Moisturizing and Firming Body Lotion indeed is a lotion that’s great for my sensitive and dry skin. I get that velvety, smooth feel upon application and even after a few hours applying it, I can still feel the lotion wrapped on skin, as if protecting it from external factors that can causes dryness and sensitivity. I like it so much, I’m almost done with the bottle! Overall, Collagen by Watsons products are good when it comes to moisturizing. I didn’t have any breakout nor allergic reaction to them. I highly recommend you start your Collagen love affair by trying the Q10 Intensive Moisturizing and Firming Lotion and work your way to the other Collagen by Watsons products. It does wonders to one’s skin. Definitely dry skin no more! Collagen by Watsons is available at Watsons store, The SM Store Beauty Section. Hi Khaye! Sige will edit once I get the correct prices of each product. Thank you! ok lang po ba gamitin yung peeling cleanser kahit na may pimples ? I will try those Watsons product/s, i am not a fan of the beauty care of the store since we have a lot of store or should i say ” well known beauty store that has those items.But , after reading these blogs I am curious and wanna try..
Hope it will work for my oily skin(face). Same questions here.update me maam please. Hi! Just to ask lang.. Uhmmm, ung peeling cleanser is use 1-2 time per week.. How about ung mask? Everyday? Then ung cc cream everyday din? Thank u.. Bibili ako today kasi sale ngayon and bukas.. hihi! I duno if kasali ba sa sale ung collagen.. Kasi ang olay day cream, 400 plus nlng.. I just wish that these are affordable. Most of the products kasi ng watsons is pricey 🙁 I most of the cant afford it. Ahhh but these products sounds great, though, Im not fan of using these cause Im afraid that it needs maintenance. Ms jackie is this safe for lactating mommies? Thanks ??? My complete set of colagen po ba for oily skin? Anu po maiaadvice neu po na colagen products?thank u..
Bakit po ang ganda nyo? ?? Also, to add lang pala.. they all smell pretty nice! ? two thumbs up! Thank you Rona for the prices! Hi… Pwede din po ba sa lalaki yan..? I definitely agree with you, that the Collagen Intensive Firming Facial Mask by Watsons, is effective. It will really give you a smooth and supple skin. ? I started using it, when they first introduce it to Market. Since then, whenever I drop by to Watsons, I always buy this product. For a cheap price of Php55 each. I even recommend it to my friends. I’m gonna try the other Collagen products too. Thanks for the added info. ??? Hi Ms Jackie. I want to try the cc cream. But I’m confused when to apply it. What is the proper routine? Is it cleanser-toner-cream-cc? Or cleanser-toner-cc? Thanks. Facial mask is effective to my skin.. will buy the Collagen products asap! 🙂 Thank you Ms. Jackie for your blog. Hi Zhelle! You’re very much welcome! Clap clap to these watsons line of product! Started using the collagen foam cleanser and collagen toner and they didn’t fail me. This product delivers it promise. I’ll try the foam cleanser next time! Hi. I’m just curious about using collagen foam cleanser and collagen toner. Is it also possible using moisturizer cream after applying the toner? Thanks. Hi miss Jackie, I’ve read your review about Collagen by Watson’s. i bought all the items that you reviewed and i will say, im super lovin it. I’ve been receiving compliments by my friends and coworkers that i look expensive/ glowing or whatever !! haha! my favorite among 4 of them is the cc cream they said that i looked flawless (korean) hehehe.. anyways thank [email protected]♥ please keep reviewing good product!!! Sorry, I’m not sure about that. Mam Jackie Go,, I bought today at SM north , Collagen by watson, moisturizing and firming FACIAL CREAM. The price is 449 pesos. The sales lady recommended me to use this for my wrinkles and fine lines. What can u say about this. Its my first time to use this. Hi ms jackie.. ask ko lang po yung peeling cleanser po b is mahapdi like other brands n peeling din ayoko po ksi ng mhapdi s face.. hehe thanks cause im planning to buy that one..
pwede po bang gumamit ng pimple remover habang gumagamit ng peeling cleanser? SOS (save our skin) po yung ginagamit ko. and 16 yrs old pa lang po ako. Hi Ms. Jackie, thanks for the info regarding Watsons Collagen products. 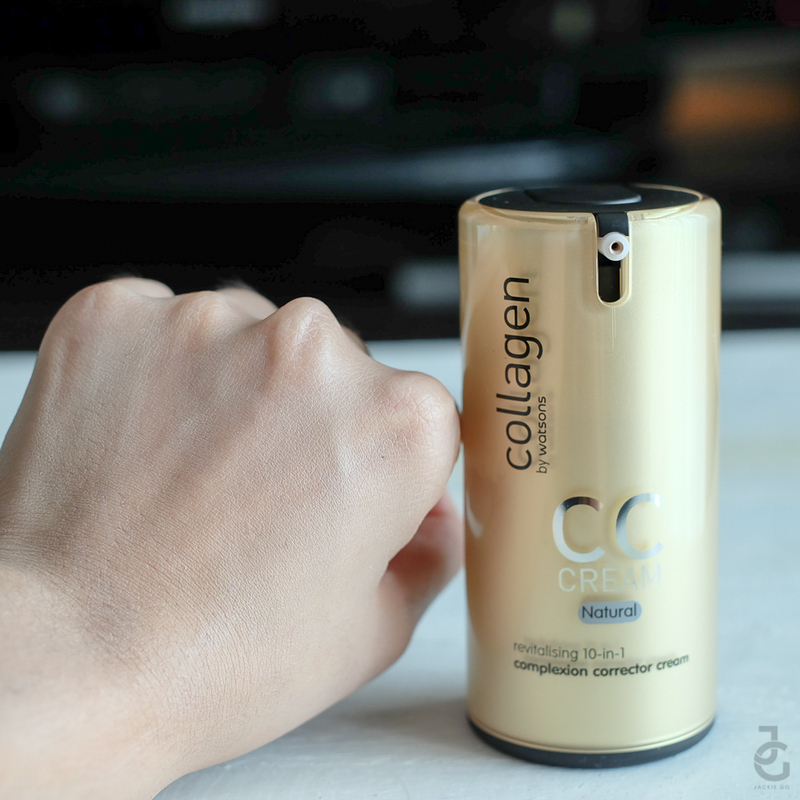 As of now, I am using Collagen Hand Cream for my dry hand’s skin and it really worked. I will try their other products as you endorsed the Peeling Cleanser. Hopefully, meron dito sa branch nila sa Daet, Camarines Norte. Thanks again. does the body lotion whitens? It’s my first time to try collagen products. Your blogs are really helpful specially for the first timers like me. Anyway, any suggestions what soap is good to use while using these products? I’m using belo kojic. Was planning to change the soap I’m using. I suggest continue using the soap you’re currently using. 🙂 It won’t affect the efficacy of the Collagen products. Hi po ask ko lng po if mgnda po gitin ung collagen pmpeeling milk ng watsons po ..
After using COLLAGEN CC CREAM shall i use any other foundation ??? Nice review Ms. Jackie, btw.. I’m planning to buy this line of collagen soon. Hope it’ll work nice as well. Hello,, nakakaremove po ba ito ng pores? What are other benefits of collagen yung peeling cleanser? Yung Brightening Peeling Cleanser po ba nakakatanggal ng mga dark parts(libag) of the body? If it’s the dark circle under your eyes, you should try eye creams & the like. Best to consult your derma about it.